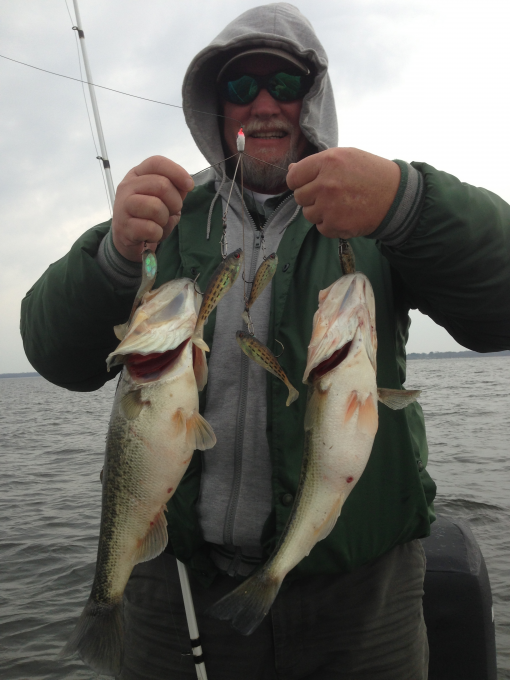 Lake Fork Guide James Caldemeyer is a full-time bass fishing guide on World Famous Lake Fork in east Texas. 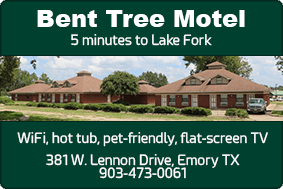 James began fishing Lake Fork in 1994. 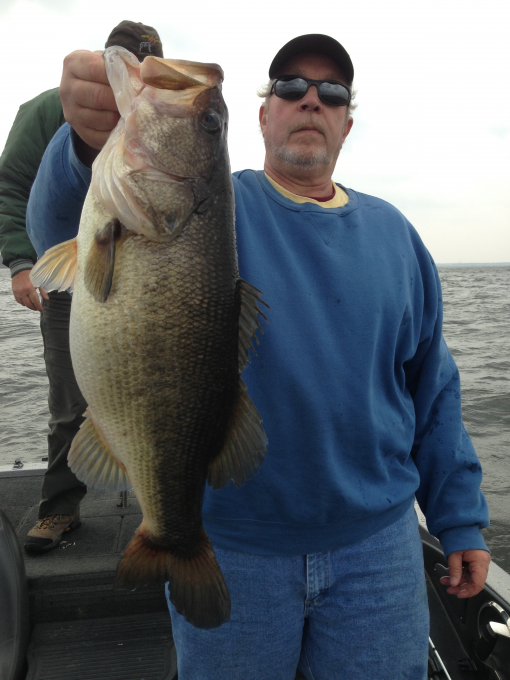 He knows where the big bass live and is devoted to helping his clients catch these trophy bass. James also competes as a professional in the Bassmasters and FLW Tournament Series. Happy New Year from Lake Fork everyone! It’s the start of a great year here at the big bass capital of the world. I’m excited about all the great fishing ahead and the numerous great events scheduled for this year. It is going to be an excellent year so start getting your fishing gear ready now. The lake is great condition to begin the season. We’ve had a continuous amount of steady rains the last month or so that have kept the lake brimming at full pool or just above and the flood gates at the dam open. As we continue to move closer to spring these lake levels will prove beneficial for the spawn. We also have some new grass continuing to grow in areas of the lake which is great and will provide even more cover for these bass come springtime. Water temperatures have been typical for wintertime conditions at 50-54 degrees with sometimes dipping into the high 40’s during the colder days. The lake is fairly off colored to stained in most areas of the lake from continual amount of recent rains. the old creek channels you can still present a bait to the fish by fan casting the areas and dragging the bait through them. I will take a Santone Lures 1⁄2- 3⁄4 oz Rattlin or Football jig and work it along the channel edges. Pay attention to the direction the wind is blowing, as the fish will position themselves a certain way on the timber according to wind direction and channel drops. I like to focus on areas where the creeks make a bend and especially if it makes a bend near a point or any other bottom structure. My favorite jig colors in January are black/blue, black /blue/purple, JC’s Spicy Craw, or Fouzman. I will trail my jig with a Berkley Power bait Chigger Chunk or the Havoc Pit Chunk in matching colors. 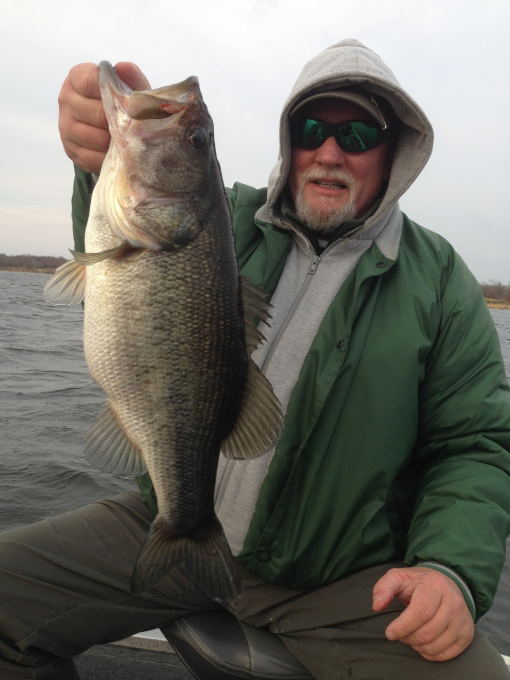 The big female bass on Lake Fork can’t resist this jig combination! Look for the deep bite out there too as there are lots of fish still roaming around out in the depths. I will look at main lake structure on my Garmin 7612 electronics. I also have the new Panoptix Live Scope and its an absolutely incredible new technology from Garmin that allows you to see the fish around the structure in real time. They can’t hide from these state of the art electronics it helps make catching them a breeze. I will look for schools around bait in 18-25 ft. Sometimes the bass are suspended but you can catch them on big flutter spoons or a small slab spoon. Tail kickers are also very productive as well as drop shots with a finesse worm. I like to use watermelon red, chart pepper, and red shad colors during the winter. I am also catching a number of fish on the Hog Farmer umbrella rig tipped with Santone RigN Heads and Berkley swimbaits. It’s not easy to cast so having the right equipment is important. Once you start catching fish on it, it’s a ton of fun! I hope this information helps you in pursuit of a trophy bass this year on Lake Fork. If you are thinking of coming out this winter and would like to book a fishing trip with me this year, feel free to contact me anytime. I still have a few dates available, but you’ll need to contact me soon to ensure the best available dates. I am booking up fast for 2019 so get your date reserved now. I would enjoy the opportunity to take you or your group fishing and help you catch the fish of your dreams! You can contact me by email at lakeforktrophybass@yahoo.com or you can call or text message me at 903-736-9888 Also, please visit my website to find out more information about Lake Fork bass fishing and my guide service at www.officiallakeforktrophybass.com If you are in the market for a new boat this year, it’s a great time to look into the new 2019 Ranger 520L and 521L as its Ranger’s flagship model and is very impressively laid out with features. If you haven’t seen it yet you can stop by Diamond Sports Marine and Fred will be glad to show you around. He even has a few rigged out with the all new Mercury Pro XS four stroke. My new 2019 boat has arrived and is ready for clients to experience this coming year also! Test rides are also available so feel free to contact me or call the dealership at 903-383-7829 and we will get you out on the water for a ride in one. I would like to thank all my sponsors that support me fishing the FLW Series and guide service on Lake Fork: Toyota, Carhartt, Ranger Boats, Mercury Outboards, I Am Second, Leer, Berkey, Abu Garcia, Garmin, Santone Lures, Costa, Power Pole, 3:16 Lure Company, Rigid Industries, Bass Forecast, Elite Tungsten, Bass Boat Technologies, and Fabtech Motorsports. I look forward to the 2018 season and the blessings in store for the year. I pray that each of you are blessed as well!